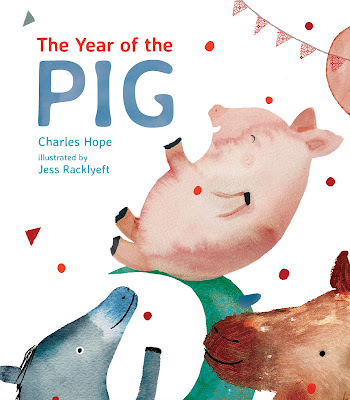 Charles Hope and Jess Racklyeft, the creative duo of The Year of the Dog, deliver another Chinese Zodiac animal story, The Year of the Pig. A perfect gift for any piggy born in 2019. This charming and captivating story reveals the character traits of all the Zodiac animals. The main character Pig is optimistic about winning the school running race, even though he is usually last at everything. During the race the other animals slowly start to fall behind Pig. They become lost, forgetful, distracted and naughty. Then just as Pig sees the finish line, he begins to worry about his friends. Where are they? Pig shows that he is calm and responsible, as he backtracks through the forest to find his friends. He uses his heightened senses of hearing and smell to locate them. Pig then shepherds them towards the finish line. But how will Pig win, now? Hope weaves a dynamic, humorous and exciting story around the theme of friendship, while also exploring the characteristics of each Zodiac animal. In the character of Pig, we discover that there are many ways to feel like a winner, without coming first in any activity. Racklyeft's soft vibrant colours and patterns, combined with her lively characters, entice the readers to explore her watercolour and digital illustrations. She has used a variety of viewpoints to help the readers understand the vastness of the forest where the race is taking place. I adore how Racklyeft uses perspective to demonstrate the size of each animal, Dragon makes Snake look as small as Slimey, the worm from Sesame Street. At the end of the book discover your Chinese Zodiac and find out if your characteristics match your animal. I am hooked on this series and I look forward to the next story, The Year of the Rat, which will be followed by my Zodiac animal, the Ox.